CS-Cart has been specially designed for e-commerce world. The system allows quick deployment of an online store. However, the e-shop attractiveness is based not only on favorable prices and product range, but also on website loading speed. When buying impulsively the customer wants to check out as soon as possible. And if the store cannot provide such opportunity, the client will just leave the website. Low page loading speed is often caused by a large number of non-optimized images. 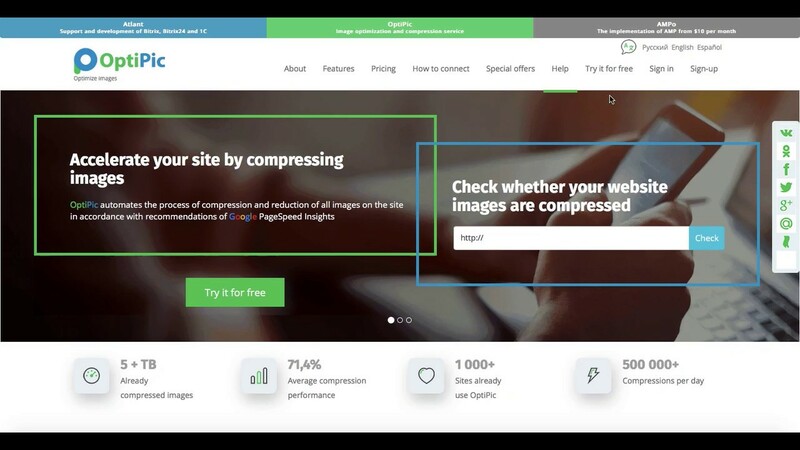 Image compression in CS-Cart will immediately allow speeding up the site performance. OptiPic is ready to help with it. Image compression plug-in for CS-Cart operates in the background. It processes files throughout the site. The compression ratio can reach 90%. Image compression may solve another problem for CS-Cart: SEO-of the resource. As a rule, search engines provide more traffic to the websites with the minimum loading time. Image compression plugin for CS-Cart can be installed just in a few clicks. And in a couple of hours you will be able to visually evaluate the page loading time decrease. How can optimizing images for CS-Cart speed up a site? How to get started with OptiPic service for CS-Cart for image compression?